Months ago, I answered the Call for Papers from Ohio Genealogical Society (OGS), intending to broaden the audience for my book Jesse James Soul Liberty. My proposal offered a presentation about the unique methodology adopted in my twelve years of researching and writing my genealogy and history of the Jesse James family. Illness stopped me once before from presenting my talk Jesse James’ Genealogy Is Not For Crackpots Any More to the Minnesota Genealogical Society. With OGS, I was expecting a second chance. My expectation was thwarted. OGS was not excited about the genealogy of Jesse James. Fair enough. Not everyone is. Looking for a backup, I defaulted to the two talks I finally did present at OGS – How to Write a Family History Everyone Wants to Read. I also produced a companion presentation – How to Publish, Sell, or Give Away a Family History Everyone Wants to Read. Still steadfast to promote my book, I also subscribed to an exhibit table at OGS, where I’d display the letters of the Jesse James family from the Joan Beamis Archive, as the James family wrote to one another, trying to identify and define their genealogy and family history. Arriving at the luxurious Sheraton Hotel in Columbus, Ohio, I encountered my first serendipity. I literally had to drive around the block twice to make sure my eyes had not deceived me. 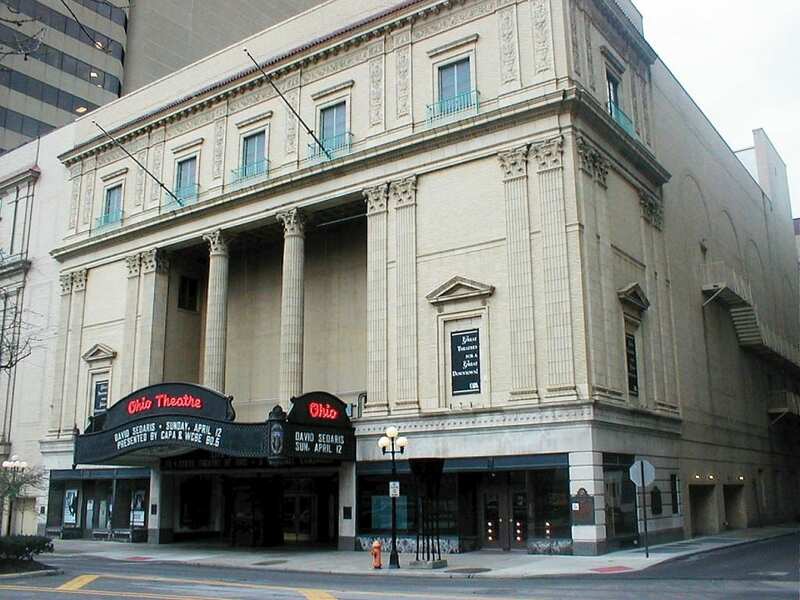 Right around the corner from the Sheraton was the Ohio Theatre. Back in the late 1960s I appeared in that beautiful theatre for two years in a row while touring in the hit Broadway shows, Generation and Impossible Years. Thirty-five years later now, I was booked for two more appearances. However, this was not my only serendipity at OGS. The first person to stop and talk with me at my exhibit table was Mark Gideon. Mark’s family farm sits outside of Northfield, Minnesota. I’d expect to meet Mark in Minnesota, but never in Ohio. There he was, telling me about the Gideon family’s experience following the Northfield robbery by the James-Younger gang. Jesse James had appeared at the fence of the Gideon farm. As fast as the Gideons spotted Jesse, he disappeared. 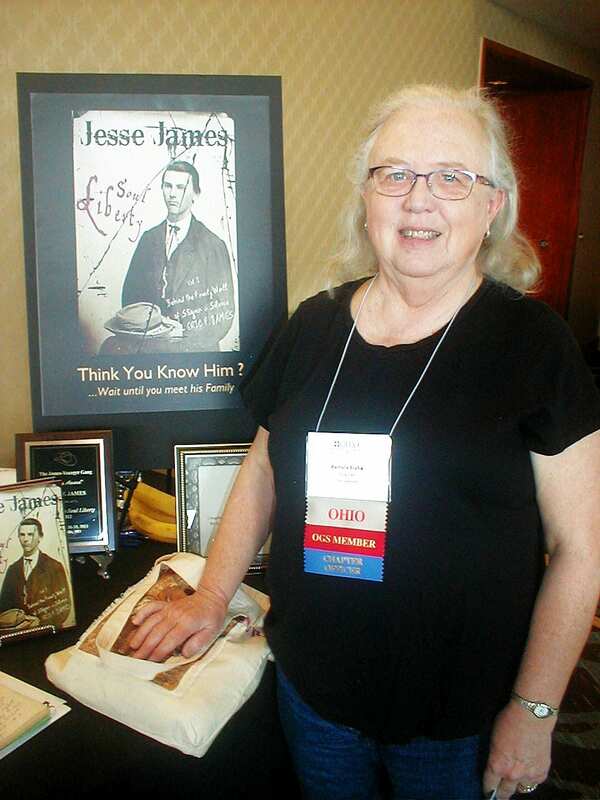 Who would expect to hear that Jesse James story in Ohio? Next, Craig R. Scott stopped by my table. 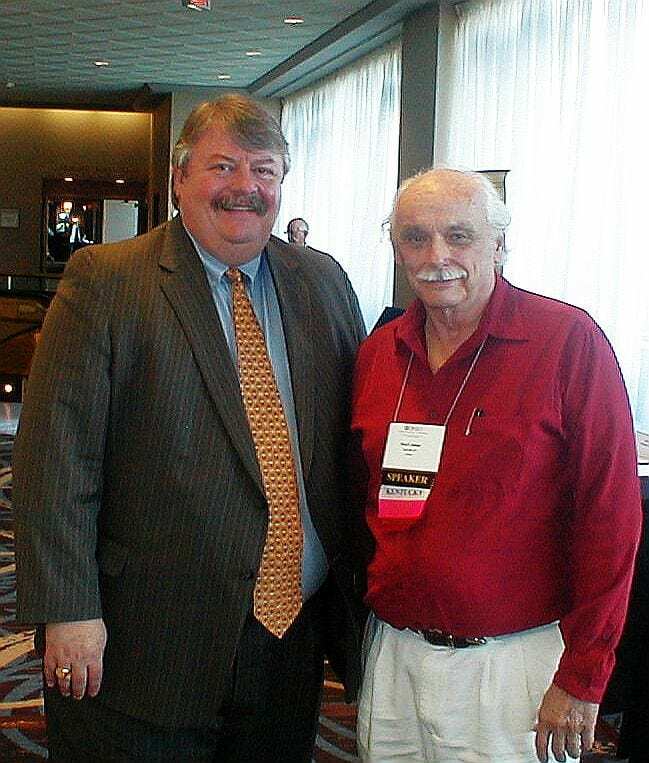 Craig is president of Heritage Books, Inc., the largest seller of genealogical books in the nation. He lives in North Carolina. 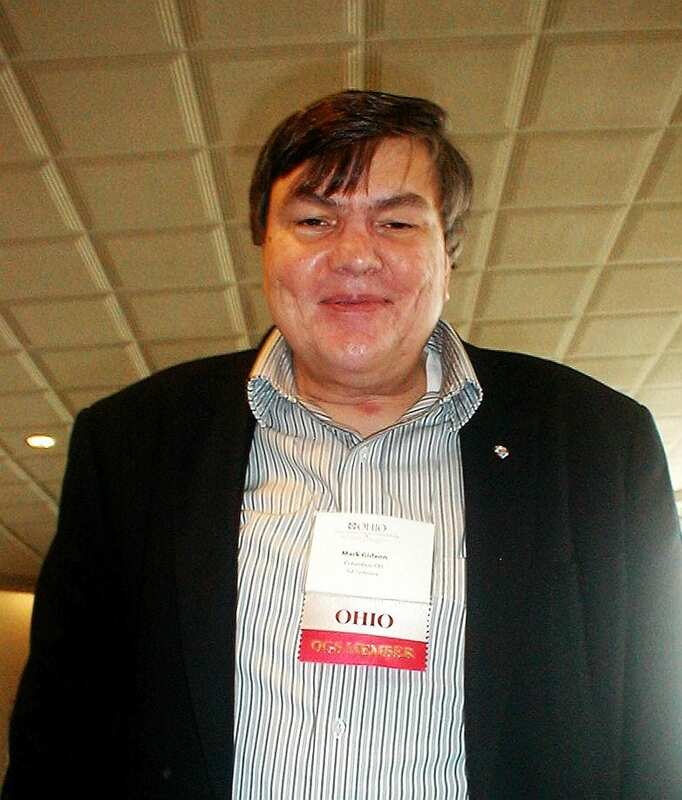 Craig was speaking at OGS about Researching Your Revolutionary War Ancestor and Beyond the Compiled Military Record. At my table, Craig was most interested in telling me about his Woodson ancestry. Craig has a double Woodson ancestry, one from Robert “Potato Hole” Woodson, plus another in a different Woodson line. The only Woodson I would expect to encounter in Ohio was one who descended from Sally Hemmings and Thomas Jefferson. Those Woodson cousins have resided in Ohio since Jefferson died. Serendipity instead produced James-Woodson cousin, Craig R. Scott. Serendipity then began to swirl. Pamela, whose last name escapes me now, stopped by to pick up a copy of my book. She has Hite cousins. Pamela informed me well about Russellville. Another book buyer told me their family in St. Louis knew the blacksmiths named Butcher who tended to the horses of Frank James. Jodie was not the only one reading my book at the OGS conference. Within hours of buying a copy, Rena Goss reported she already had read the first chapter. Rena thought Joan Beamis was quite an extraordinary woman. Rena talked at length about a bundle of letters she inherited, titled “Percy’s Letters,” which describe in rich detail the raunchy life in a Colorado frontier town. I told her, without reading the letters, I was ready to publish them. Serendipity then closed in on me, big time. 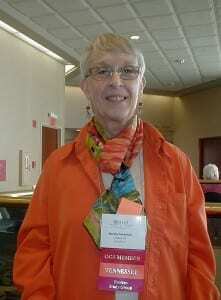 Martha Gerdeman, a professional genealogy researcher at Climbing Family Trees, in Dickson, Tennessee stopped by. 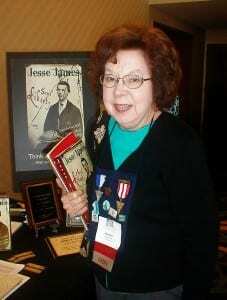 We talked about the James families there, who will appear in Forks of the Road, Volume III of Jesse James Soul Liberty. The James in Tennessee always have known they were kin to Frank and Jesse James, though they’ve never known how. Volume III will show how. I was very excited to meet Martha, and plan to revisit with her my next time in Tennessee. 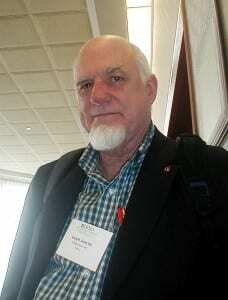 Then as my stay was winding down, Rick D. Hollis appeared from Clarkesville, Tennessee. We had communicated briefly many years ago after I researched there. Rick sat with me for a very long talk, as Rick waited for the banquet dinner and his induction into one more of the twenty lineage societies of which he is a member. Rick formerly was married to a James. Like Martha Gerdeman, Rick also knew about the James in Tennessee and their claimed kinship to Frank and Jesse. I previewed for him, some of the information that will be in my forthcoming Volume III. Rick added many interesting details I had not known. He also invited me to visit him in Tennessee for more. I’ll definitely be taking him up on the offer as soon as Volume II is published this year. 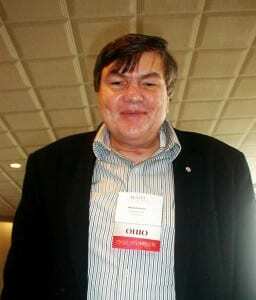 Rick also is deputy president general of the General Society of the War of 1812. I filled in Rick about the James and Hite family who defeated the Native-Americans at Chillicothe, two generations before the Hite and James fought as the James Gang. 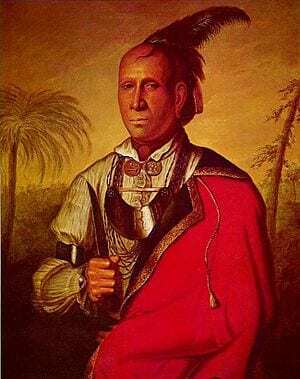 I also alerted Rick to the religious and socio-political influence of the James family and their community in the War of 1812, and their defeat of Chief Tecumseh. Rick said he may have to book me for a talk about that. 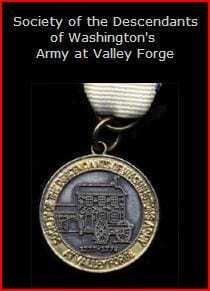 Next year, Rick Hollis becomes president of The Society of the Descendants of Washington’s Army at Valley Forge. We then discussed the meeting of the grandfathers of the James and Younger brothers at Valley Forge, again two generations before the two families came together again as the James Gang. Since we both were sitting there in Ohio, I also had to tell Rick about the James family who were captured when John Hunt Morgan crossed the Ohio River from Kentucky to meet his defeat in Ohio. Genealogy always leads the family historian, who then must follow. I know this too well. Never does the family historian lead the genealogy. Doing so, a family historian sometimes experiences revelations of a spiritual nature. The hand of some “other” at times directs the family historian. Occasionally the slap of spirituality is so forceful, the notice to alter course is impossible to ignore. My slap of serendipity at the 2015 annual conference of the Ohio Genealogical Society tells me, time is now to get crackin’ on Forks of the Road, Volume III of Jesse James Soul Liberty.